Nestled at the foot of the beautiful Outeniqua Mountains, in the heart of the Garden Route, lies die new home-away-from-home Guesthouse, Caledon Country House. Located in the charming residential Camphersdrift neighbourhood, it is within comfortable walking distance to the city centre of George. The individually decorated bedrooms are all stylishisly furnished with a focus on attention to detail. At Caledon Country House we welcome our guests to the ideal retreat for business and/or holiday travel. The Guesthouse can currently accommodate up to 16 guests in 8 en-suite rooms, each with private patio. Whizz through the Outeniqua Mountains on the Outeniqua Power Van, visit the Outeniqua Transport Museum or explore the Outeniqua Country Hop Route. For the golf enthusiast, the Western Cape is heaven. With an ideal climate for spending time out on the fairways, golfers here are blessed with some of the best courses in the world. 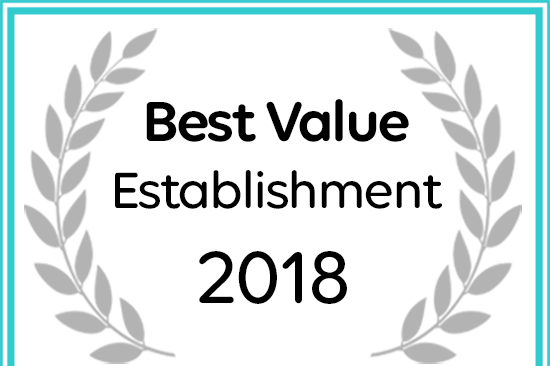 Caledon 23 Country House has received a Best Value George accommodation award for 2018.